"I can run faster, jump higher, and have less fatigue. I would highly recommend Springbak® Springsoles to enhance athletic performance"
Article by William Crow – Former Professional Basketball Player and Chairman Springbak Inc.
1) Always have one foot forward in a driving stance. 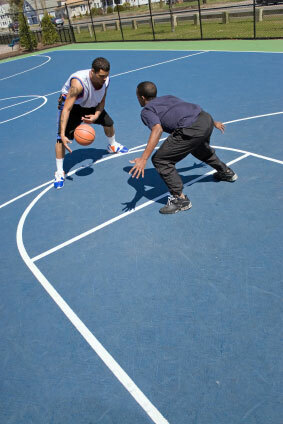 2) Have the same foot forward as the shooting hand and at the same time have the basketball up to your chest. Why? This way the offensive player has created three options. a) He or she has put themselves in a driving position. This will cause the defender to back off to protect against a drive to the basket. b) The offensive player option two is to shoot directly off the front leg with one upward shooting motion from the chest. c) The offensive player can step back to create space from the defender and jump off both legs for a jump shot. Same principal as the Outside Stance, always have one foot forward, never parallel. Why? 1) The offensive player can better hold his or her ground against a defender, because he or she can push back with the forward leg. 2) The offensive player can step away from the defender and half pivot at the same time to create space for a jump shot. 3) If forward foot position is set before receiving a pass THEN EITHER FOOT CAN BE A PIVOT FOOT. This has tremendous advantages in that the inside player can pivot either away from the basket and the defender to create space or pivot toward the basket on a drive. The defender has a much tougher time defending these two options. 4) Again, never have your feet parallel, why? a) The option of pivoting away to create space is lost. b) Power is lost on a drive to the basket. 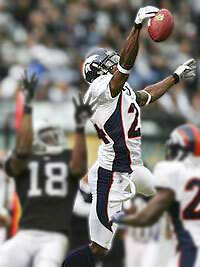 c) It is much harder for the offensive player to hold position. Have fun and enjoy the Foot Work Tips! – William Crow, Chairman – Springbak Inc.
+1 This Page on Google! Coaches: Need To Order For Your Team?